Sabudana or Sago is a favorite tiffin/snack dish. It is considered ideal for fasting during festivals/poojas. 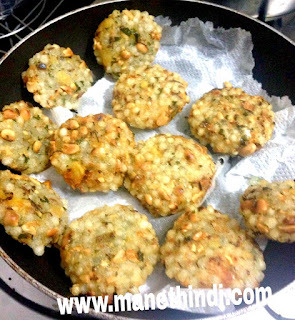 Generally Sabudana is used to make popular dishes Kichdi, Vada, Thalipeet and Kheer. Predominantly a staple in Gujrat and Maharashtra, Sago is popular all over india. They come in different sizes used for different dishes. There are polished and unpolished versions.Unpolished is the healthier option which is used in the following Sabudana Vada recipe. Soak Sabudana for 3 hrs and check by pressing the sago if its fully soft and mashable. If not add a little more water and soak for another hour and drain the excess water. Imp tip: sago pearls should not become soggy and we need to keep a check on that as its impossible to cook with soggy sabudana. Boil and crush the potato to bits. Dry roast and crush coarsely the peanuts. 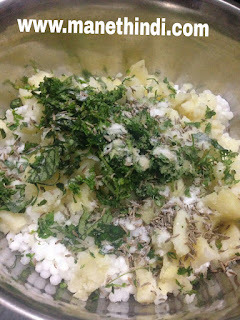 add cumin, chilli paste, finely chopped coriander and curry leaves, salt and bring together all the ingredients and mix well. 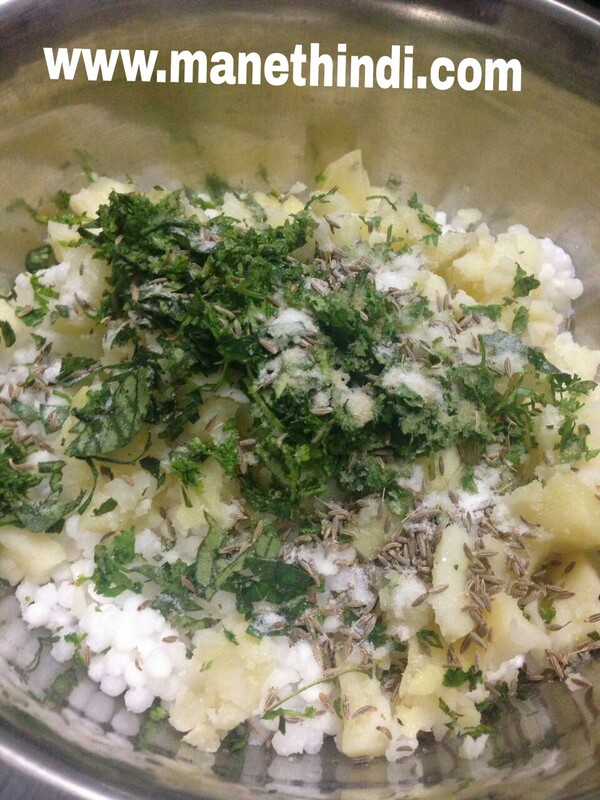 Potato is added as a binding agent and adds to the taste as well. Heat oil and deep fry the vadas till golden brown. They are crisp on the out and soft n mushy on the inside. Sabudana is best served piping hot with either green chutney or tomato ketchup.